Solution-based approaches are widely used for crystal growth and material assembly. In the solution-based processes, inherent fluid flows always present. Recently, researchers at Peking University developed a general strategy for the regulation of crystal growth and material assembly by utilizing these fluid flows. They are able to control the mass transfer process during the growth and arrangement of materials by manipulating the distribution of the temperature gradient in the wedge-shaped region near the gas-liquid-solid three-phase contact line. 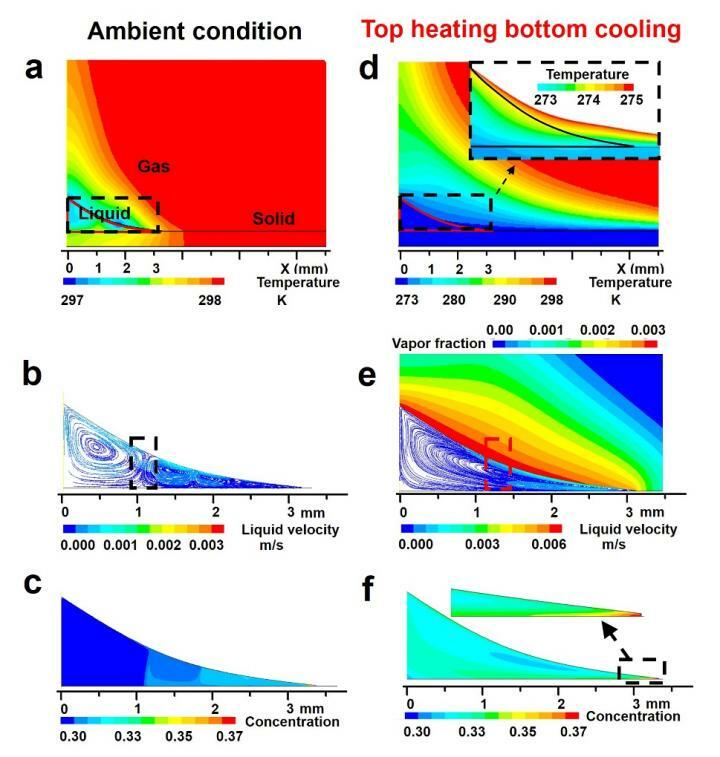 A stable single vortex is produced by Marangoni effect when the top of the solution wedge is heated and the bottom is cooled, while natural evaporation or common substrate-heating conditions result in multiple complex vortexes. The stable single vortex plays an important role in the controllable material growth, assembly, and arrangement. This vortex benefits the oriented deposition of materials because the flow direction is always perpendicular to the three-phase contact line; on the other hand, the high concentration zone is always located at the tip of the solution wedge due to the co-effect of Marangoni flow and the solvent evaporation. The strategy with the top-heating-bottom-cooling setup is suitable for different types of substrates and a variety of materials including inorganic, organic, hybrid, and bio- materials. It is also applicable for patterning materials on large-area substrates. The large-area CH3NH3PbI3 arrays deposited on flexible substrates via this method are directly used to construct flexible photodetectors with good performance. This research was published in National Science Review, entitled “Material Patterning on Substrates by Manipulation of Fluidic Behavior”. Professor Yan Li from College of Chemistry and Molecular Engineering at Peking University and Professor Hao Wang from College of Engineering at Peking University are corresponding authors of this article, and Yitan Li, a Ph. D. candidate from Academy for Advanced Interdisciplinary Studies at Peking University, is the first author.